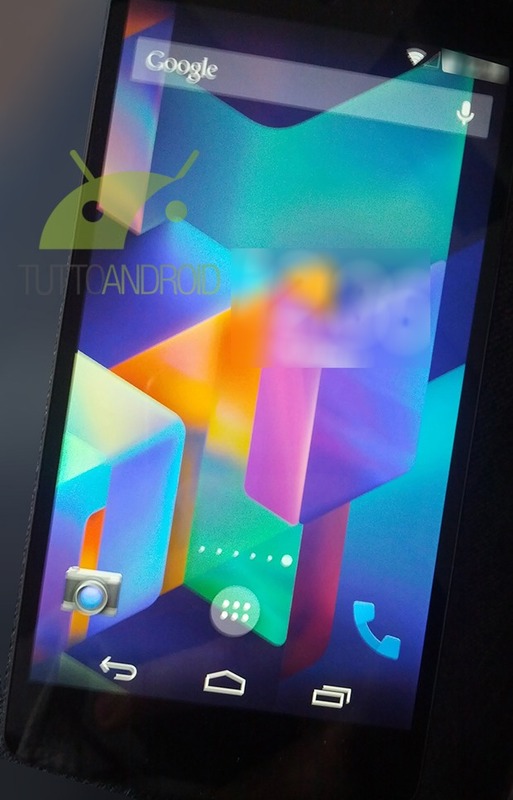 A batch of images purporting to be from Android 4.4 running on a Nexus 5 have shown up online, and they confirm a lot of things we've been hearing. 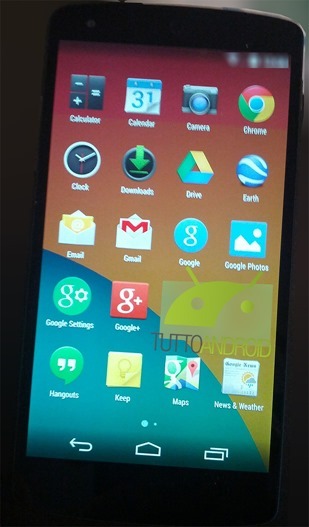 This isn't a complete rethinking of Android, but it looks like many parts of the UI will be tweaked this time around. Starting with the lock screen, we can see a transparent status bar up top with white icons, now a staple of KitKat leaks. 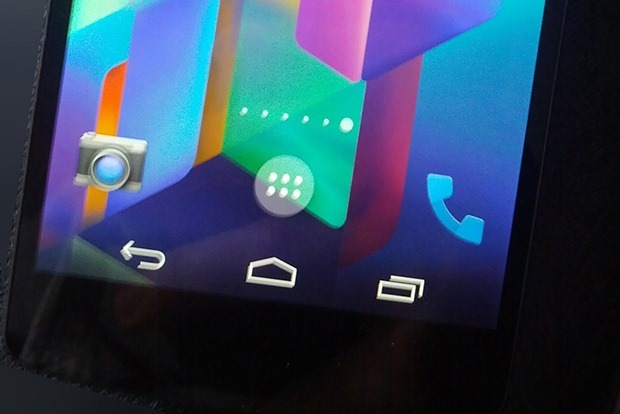 In the corner is a camera icon that can be dragged to open the camera, but you can apparently also just drag the screen itself to the left like in current versions of Android. On the home screen we get our first glimpse of the new transparent navigation bar, which matches the transparent status bar up top. There is a new app drawer icon, and the phone icon seems to have gotten an update as well (it's kind of not great). The screen indicator shows there are six panels on this device, but the number will reportedly be adjustable. If you want more screens, just drag an icon or widget to the side of the last page, and you'll get a new one. Empty one out, and it goes away. Our sources tell us the transparent status bar and nav bar are only for the launcher, which is backed up by the other leak today. 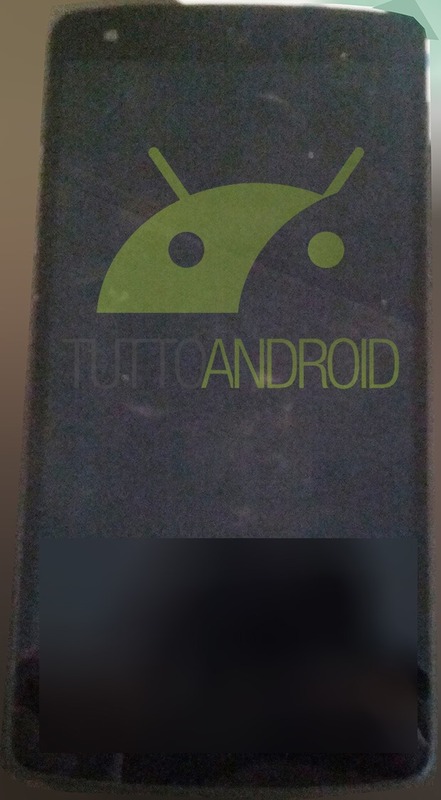 The app drawer in KitKat loses the black background, instead using the wallpaper image. It's also only a 5x4 grid instead of 5x5 from the Nexus 4. Widgets have been given the boot from the app drawer as well. They will be accessible from the long-press menu on the home screen, which is how things were pre-ICS. This is an odd change. Also note the messaging app is gone, lending credence to the SMS in Hangouts leak. The gallery also seem to have been supplanted by Google Photos, which is different than the current Google+ Photos link. The G+ Photos link is gone, so perhaps these experiences have been combined. The Google Search and Settings apps also have round icons now. Google Now is going to be easier to get at too. It will be one swipe to the left from the far left home screen panel, making it feel like part of the launcher. The Nexus 5 will also be in listening mode at all times so you can say "Ok Google" to open voice search. 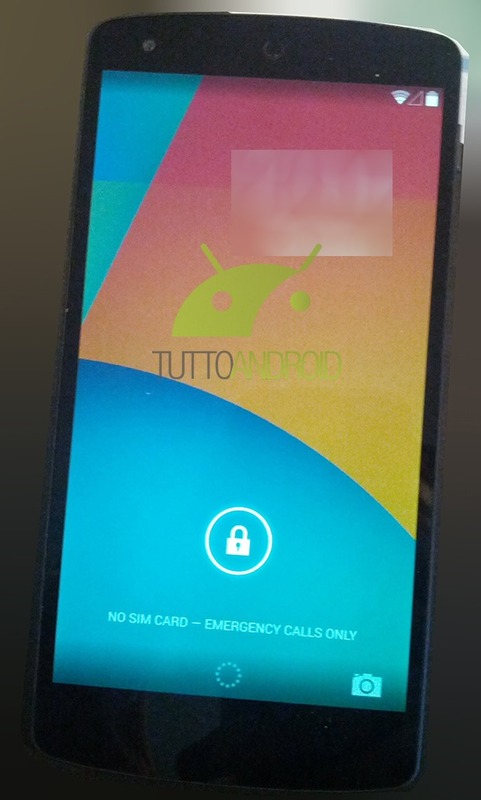 It isn't clear from the leak if that extends to when the phone is asleep, though (like the Moto X). You can also pull up Google with the swipe up gesture and by tapping the search bar, just like before. So, there are 4 ways to search from the home screen now. Lastly, the boot animation matches a previous leak – it's the same as the Google Play Edition devices. There are a lot of little things going on that will probably take some getting used to, and we don't really know how some of it is going to work in practice. While this is still recognizable as Android, it's the biggest visual refresh the platform has gotten in a few years.